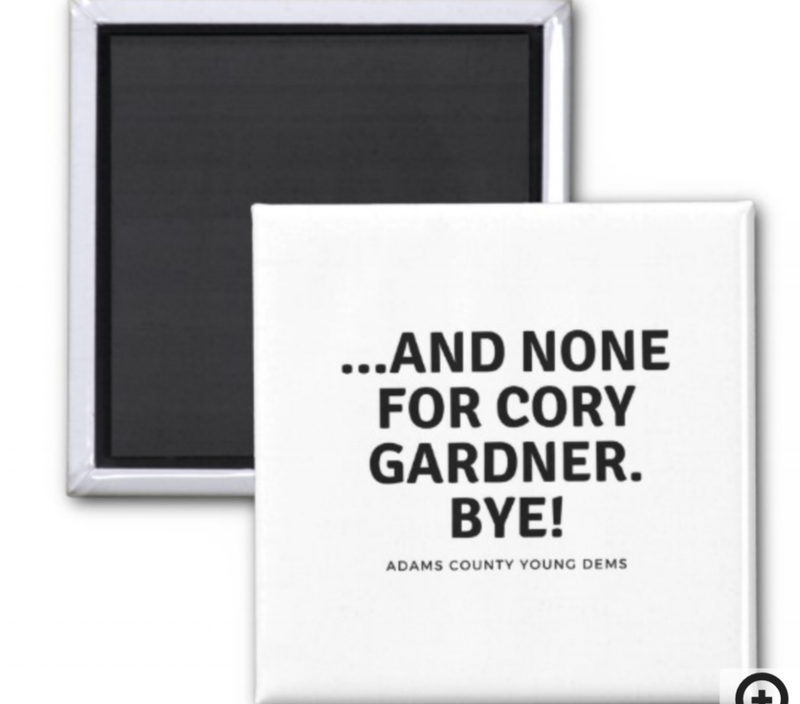 Donate to the Adams County Young Dems, and you can own these TOTALLY FETCH, magnets, tote bag AND T-SHIRTS! At this point, haven't we all? And four for you, Glenn Coco...you go, Glenn Coco! Sooo, you guys, what is the 4-1-1? What is everybody up to? What is the hot gossip? Tell me everything! What is everyone listening to? 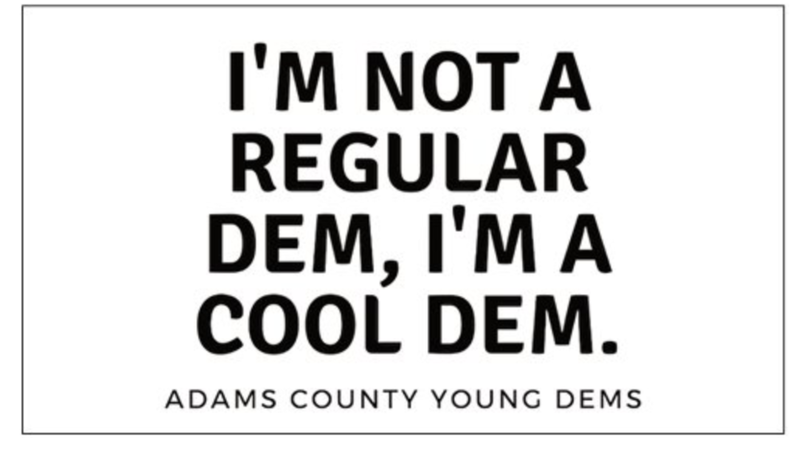 What are the hot jams? 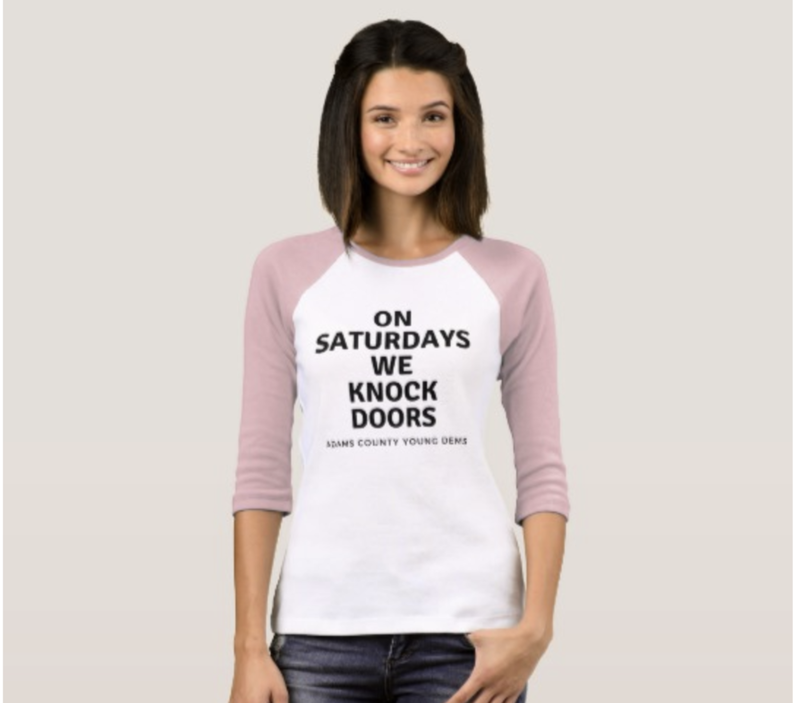 On Wednesdays we wear pink, on Saturdays we knock doors. 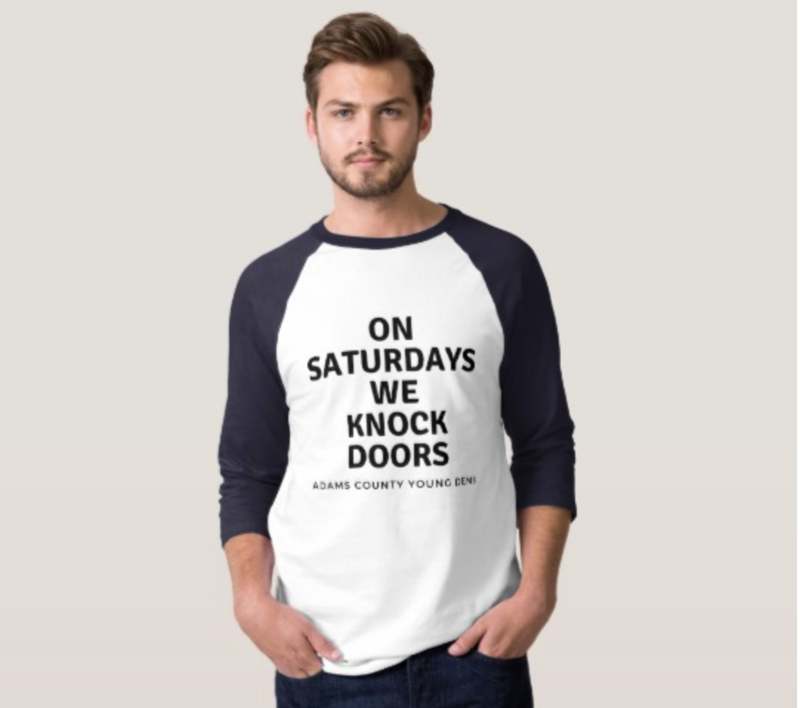 Declare your love for canvassing with this shirt.